It’s a new year…so perhaps it is time to reinvent and think about those resolutions. It’s also time to evaluate the past year and move forward with those new ideas that you shelved. Setting new goals and resolutions for your business and brand is just as important as setting those personal resolutions. Looking back at 2015, what efforts and campaigns did you execute? Did they work for your brand? These tips will help you to re-evaluate or re-invent your company’s brand to appeal better to your audience. 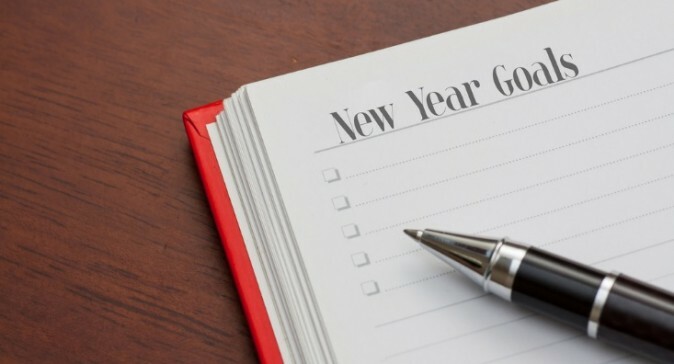 If your resolution is to finally launch that business you’ve been dreaming of, then these tips are great tools for you to make it a reality in 2016! What services/products does your business offer and who are you targeting? Asking this question is a good first step to understand if you’re appealing to the right group. All marketing tools and tactics that you employ will need to be relevant to your target audience, so you don’t waste your efforts. Learn about the interests, needs and concerns of your audience. Surveying your audience is a great way to get to know them and get feedback directly because you can ask questions about what they want, what their preferences are, and what you as a brand can do to fulfill them. 2. Ask yourself what goals you would like to achieve. Are you looking to increase awareness, increase sales, or a combination of the two? For any campaign, it’s important to have a goal and a plan in mind. Listing your goals will help keep your company’s view and messaging focused. Getting to know your audience will help you define what goals are most realistic. Then, moving forward, keep going back to that goal to ensure you’re staying on strategy and on message. 3. Ensure your messages align with your brand’s voice. Your brand is the personality and essence of your company. In Forbes’ article “Why Branding is Important,” Scott Goodson says, “Brands are psychology and science brought together as a promise mark as opposed to a trademark. Products have life cycles. Brands outlive products.” If you develop your brand with the proper messaging and audience in mind, it will expand and grow over time. Researching and knowing your audience, again, is key in this realm. If your target audience is a younger demographic, you might want to adjust your brand’s voice to appeal to that target group. The use of images appeals to all audiences, but especially to younger groups. If you’re just launching your startup, you’ll want to develop your brand properly. Create a mission statement and a voice that conveys what your business does and why you’re doing it. 4. What channels does your brand use to communicate? Surveying your audience first can help you determine the best ways to communicate. Ask them if they use Instagram. Ask yourself if that medium is an appropriate tool for your brand to use. You don’t need to be present on all channels of social media, but if you’re going to be on a channel, do it well. Use the media that best appeals to your brand and audience. Plan your posts ahead of time. Tailor your posts to what your audience wants to hear and decide what is relevant for you to share. There are so many ways to reach your audience, from snail mail and email to Instagram and Periscope – the proper connection is key. 5. Tell stories, share experiences. Starting a company blog is another way to share your message, while giving consumers insight into your brand. You can share stories about impacts your business has made, for example. A blog is a great way to build a connection with your audience and your company. Consumers don’t want to interact with a big corporation; they want to feel the personalized, intimate connection of a small start-up. They want to share your experiences and understand your brand.